Wine of Spain. 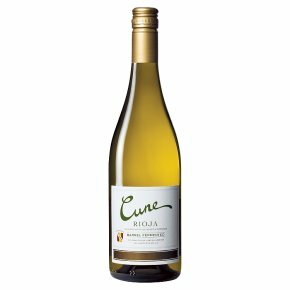 Cune Barrel Fermented Rioja is produced by the fifth generation of CVNE from a careful selection of Viura grapes. This wine is fermented on its lees in new American oak casks for up to 4 months adding depth and complexity. It is then aged in bottle for some months prior to release.